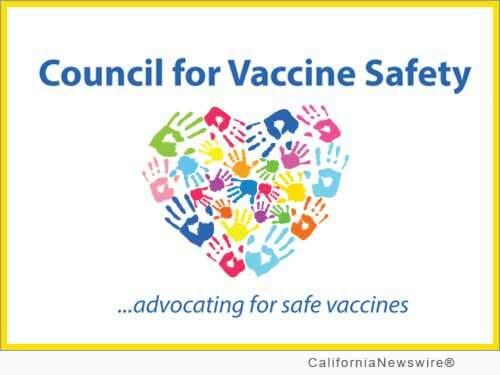 OAKLAND, Calif. /California Newswire/ — The Council for Vaccine Safety, and A Voice for Choice, in collaboration with community leaders, announce that on October 24, 2015 at 12 noon, protesters will rally at Frank Ogawa Plaza in Oakland, Calif. in solidarity with the Truth, Transparency & Freedom Rally happening on the same day at the CDC in Atlanta, Georgia. Protesters are standing against CDC corruption and the disturbing partnership between industry and government, which undermines the health, safety, and freedom of American citizens. In particular, the protesters are calling for the "CDC Whistleblower" Dr. William Thompson, to be subpoenaed to give evidence to congress, following the revelation by Florida Rep Bill Posey (R) that CDC scientists were allegedly instructed to destroy vaccine research which revealed a link between the MMR vaccine and autism, particularly African American boys. At 12 noon protesters will rally at Frank Ogawa Plaza in Oakland, California in solidarity with the Truth, Transparency & Freedom Rally happening on the same day at the CDC in Atlanta, Georgia. Against this background of alleged scientific fraud, the California legislature has passed two contentious mandatory vaccine laws this year, making California one of the most oppressive states in the nation regarding vaccine freedom. SB277 and SB792 have resulted in uniting a diverse group of opponents, a group that spans the political, socioeconomic, racial, and religious spectrum. The rally being held is particularly appropriate in light of the fact that the research data that Dr. Thompson alleges was suppressed by the CDC showed African American boys to be 240 percent more likely to develop autism if they received their MMR vaccine between 18 and 36 months of age. Oakland, with its significant African American population and history for being a hub of social change, is primed for being a major epicenter of the vaccine truth movement. * Minister Keith Muhammad – Resident minister at the Nation of Islam mosque in Oakland. He is an educator and activist and has served Bay Area communities for decades. * Sister Tesha Muhammad – Tesha is a graduate of University of California at Berkeley, a mother of four including two vaccine damaged sons. The experience of dealing with the challenges associated with autism has motivated her to become an activist against unsafe vaccines. * Dr. Tina Kimmel, former research scientist for the California Department of Public Health's Immunization Branch. * Samsarah Morgan, mother and grandmother, and founder of Nia Healing Center for Birth and Family Life. * Brandy Vaughan, former Merck employee, and founder of Council for Vaccine Safety. * Christina Hildebrand, founder of A Voice for Choice. Council for Vaccine Truth – http://councilforvaccinesafety.org/. A Voice for Choice – http://avoiceforchoice.org/. Rep Bill Posey, Florida (R), July 29, 2015: http://www.c-span.org/video/?c4546409/mr-posey. Press Release of Dr. William W. Thompson, CDC Scientist, regarding the 2004 article examining the possibility of a relationship between MMR vaccine and autism, August 27, 2014: http://goo.gl/b8DnGf.